K.I.D.S. capacity-building programs for at-risk youth (0-18 yrs) and their families address poverty, literacy, domestic violence, homelessness, child safety, illness, incarceration, disaster relief, and youth development. All disaster relief efforts are coordinated with local, state and federal agencies, and national disaster relief networks. Recipient agencies augmented or supported by K.I.D.S. 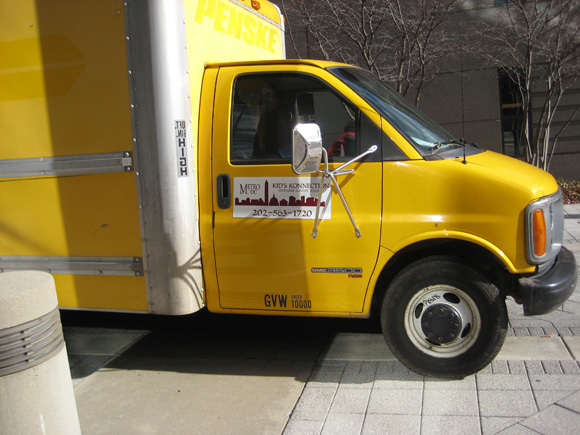 are homeless shelters, domestic violence shelters, food banks, hospitals, community centers, prisoner rehabilitation centers, HIV/AIDS clinics, Indian reservations, school systems, day cares, youth clubs, foster homes and faith-based organizations. 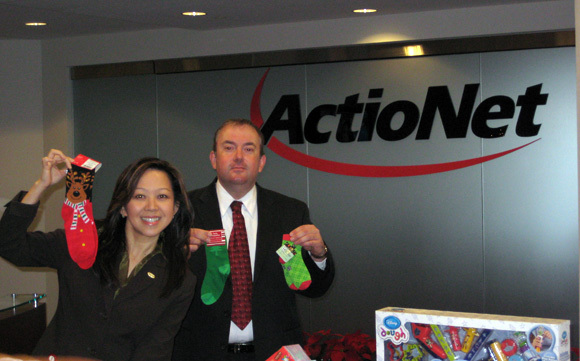 Collection boxes were set-up at ActioNet’s Headquarters location where donations where accepted November 29th through December 10th, 2010. 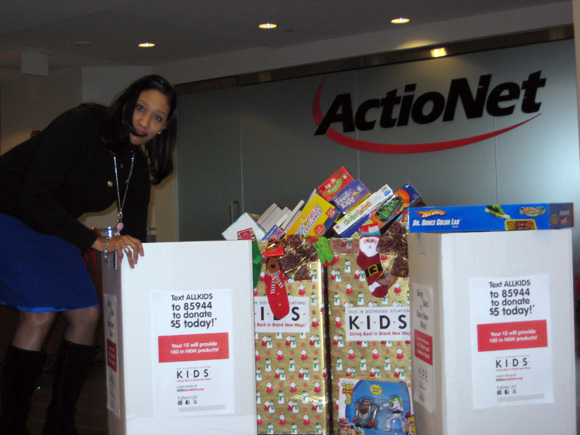 On Monday, December 13th the three boxes of collected donations were picked-up by Kids Konnection a non-profit organization reaching children in housing projects in the Metropolitan area. 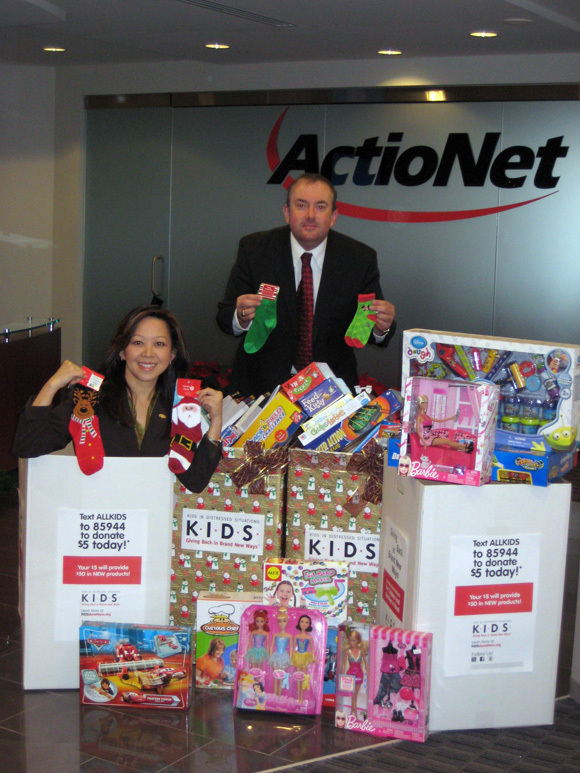 “It’s about one gift, to one child at a time that builds hope, self-esteem and an opportunity to succeed.